Guest Bio: Dr Michelle Celander is the Director of Program & Content, Weight Watchers Australasia. 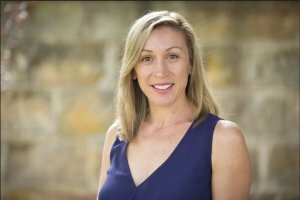 Michelle is a qualified dietitian, doctorate level research scientist, and has fifteen years of experience in roles spanning clinical dietetics, university lecturing, health communications, regulatory affairs and nutrition research. She is responsible for ensuring the integrity of the Weight Watcher’s program and accuracy of all content created from the brand. She has spent most of her career leading nutrition teams across the globe to create positive change in large multi-nationals. A foodie and yoga junkie, her happy place is by the sea or hiking our beautiful national parks. Segment overview: In this interview, Dr Michelle Celander talks about a new study based in the UK, which shows that community-based weight management program with Weight Watchers helps people lose more weight than those who received a brief intervention and self-help materials. Weight Watchers provides services and products that helps millions of people around the world lose weight through sensible and sustainable food plans, activity, behaviour modification and group support.